Tapantoni 2014 ¡Enjoy very cheap tapas on Wednesday! 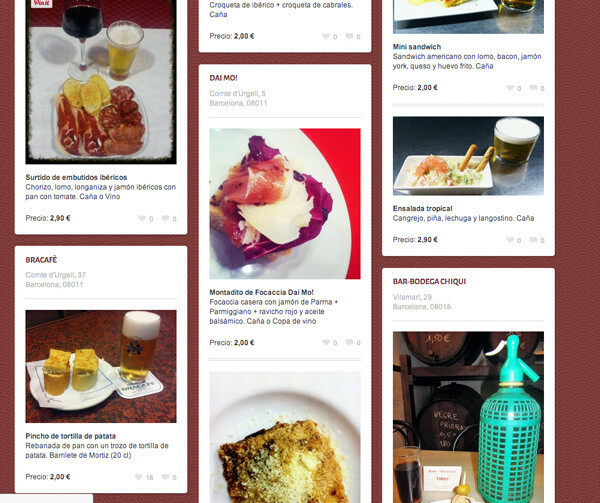 In this blog we like eat and especially we love go out to eat tapas in Barcelona. We have written many times about tapas in Barcelona and cheap tapas in Barcelona. And when we talk about low cost tapas we talked about Tapantoni, an initiative of Sant Antoni neighborhood of Barcelona that is to provide a tapa+drink at a greatly reduced price. But to date, Tapantoni only held for a certain period of time. However it is announced that now the initiative will be every Wednesday from April 2. The initiative, logically organized by the Merchants Association Sant Antoni neighborhood, can be followed through the web Tapantoni. In Tapantoni.com you can see the tapas offered by each bar, an appetizing picture and price and drink they can choose to offer (sometimes a glass of beer, sometimes you can choose a glass of wine ..). There is also a map with all the places that have low cost tapas.